FK chats to Nicole of beautifully curated label and online store Paterson + Steele, a one stop shop for divine design. 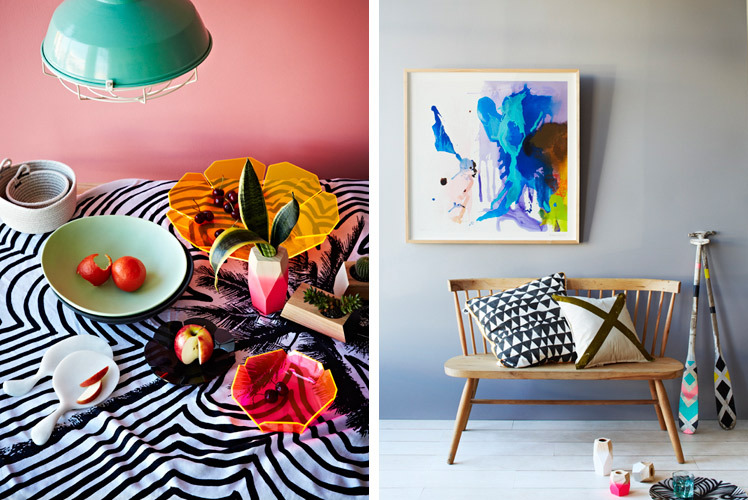 Be sure to catch this eclectic collection of at the upcoming Brisbane and Sydney Markets! Tell us about your label Paterson + Steele and what the concept is behind it? 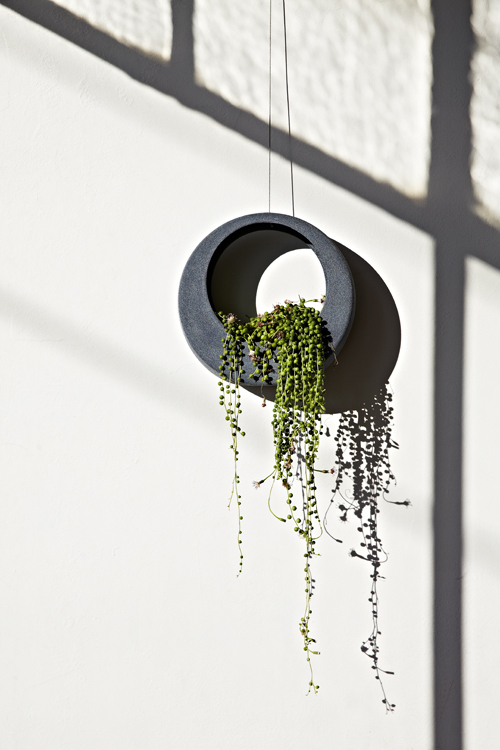 Paterson + Steele is a range of homewares that have a common theme of individuality; where form and function are executed with equal consideration. The concept behind it was to find or create pieces that tick all the boxes that are important to me: striking design, a unique quality, environmentally friendly, and I guess a place where artists of any medium have the chance to share their work with a wider audience. Aesthetically the pieces need to appeal to the design/functionality side of my brain as well as be appealing to the eye. The pieces we have sourced from other producers and artists around the world follow the same aesthetic – unique, quality pieces produced with love and care from the artists’ hand, nothing mass-produced. We want to encourage slow-buying, buy what you love, buy once. I’ve always been creative, drawing and painting throughout my school years. I was set on a Fine Arts degree, but didn’t want to starve for my art, so decided to do graphic design instead. Graphic design has given me a great grounding in general design. My eye is innately drawn to balance and proportion and composition. I’ve been lucky enough to work for some of Australia’s leading brands, where great respect is given to the art form that is design: every element is considered and given due importance. After 15 years designing on a screen, I needed a change. It was time to get off the computer and back to my creative roots. A health scare and six months of chemotherapy made me reassess what I wanted out of life, and made me realise that I could have faith in myself and my ideas. Paterson + Steele was the result. What inspires your work, and what keeps you motivated creatively? Honestly, there are few things that don’t inspire me. It may be a street sign, a piece of clothing, something in nature, something industrial… they seem to morph in my mind and I take the elements that resonate with me and an idea is born. Often, the link between the final design and the initial inspiration may not be immediately obvious but there are so many things that start that conceptual journey. I’ve obviously drawn inspiration from my design background, shapes, light and shade even the simplicity of a particular font. More recently though I have been inspired daily by the creative community around me, and the people I have come into contact with. I have been fortunate enough to surround myself with people who have such strong and unique creative visions and their work and self-belief give me the encouragement and support I need to create and make the brand a success. I love that I can now design and create in a different way – currently I’m into pots and ceramics, but in a few months something else might take my fancy. I am looking to collaborate with some amazing people – we have quite a few in the pipeline so stay tuned – it’s very inspiring and I love the thought of working together with these people instead of feeling the need to compete. My team, family, friends and suppliers all motivate me to explore the possibilities and I am genuinely excited about what the future holds for the business. When it comes to the creative process, my workspace is anywhere I happen to be when I have an idea. The shower, walking my son to school, having lunch at a café… I can be anywhere and an idea will hit me. I’ve learned to seize the day as they say, and when that creative urge takes me, I tend to stop what I’m doing and do a quick sketch or get an idea down on paper to expand upon later. 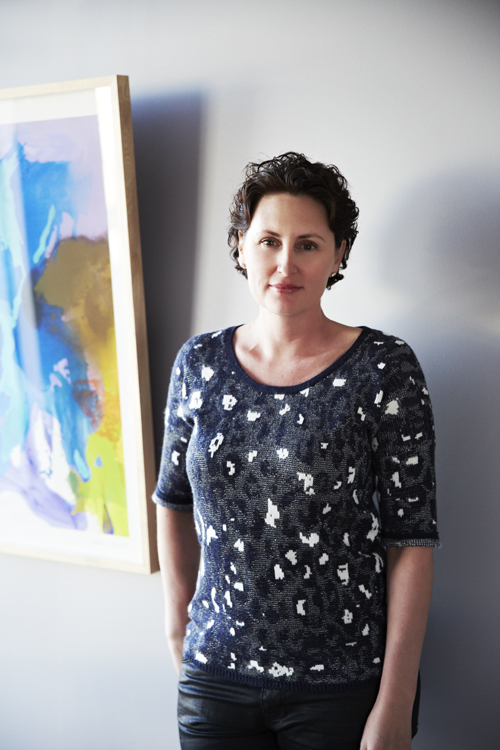 We have just moved from the Gold Coast to beautiful Bangalow and while we are building our new house – which will include my dream studio – I make do with my home office in our beautiful rented cottage. I’m surrounded by gorgeous countryside so I often sit on the deck to sketch ideas. To the naked eye my desk may appear to be a mess of colour swatches, sketches, brochures, notes and magazine, but I prefer to call it organised chaos! The biggest challenge was taking the leap of faith to actually start my own brand, being my own client – any designer will tell you that designing for yourself is the most difficult thing to do. There have been many challenges, but I honestly don’t see them as problems to be solved; just aspects of the business I need to learn and embrace. I know I’m really on the edge when my husband starts bringing Ben & Jerry’s home in an attempt to get me to calm down! What can we expect to see from Paterson + Steele at the upcoming Brisbane & Sydney Markets? 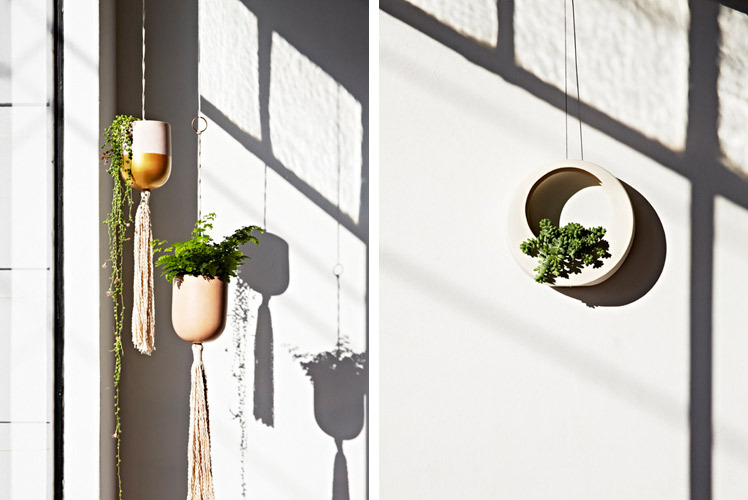 Expect to see our Moon Pots, handcrafted by our team on the Gold Coast, in our winter range of colours (charcoal, white, citrus) and joined by our new summer colours (baby pink, pistachio, and caramel). We are unveiling the Moons in the new stone range; Armelle Rock, which are hand-painted with a textural glaze. 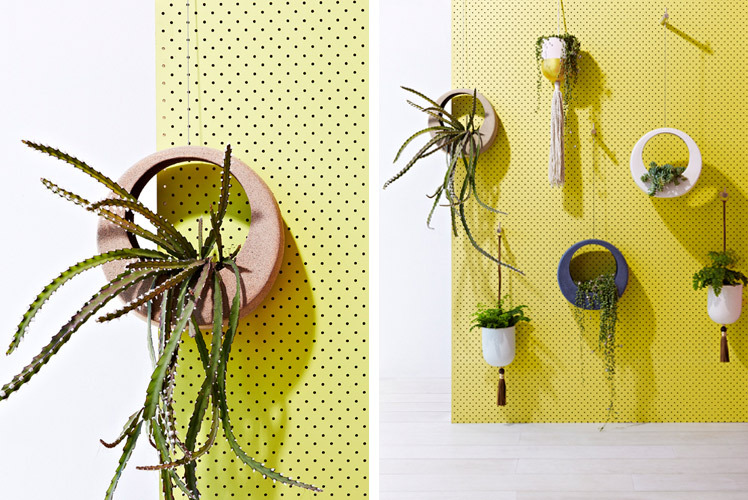 We are also launching our new range of pots; the Helvetica U Pot series, which combines boho leather and twine tassels with refined tinted porcelain, balanced on a single central stem. 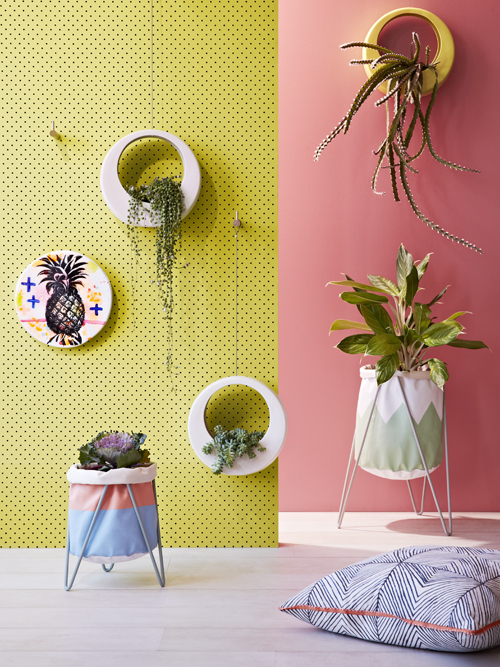 Plus, as the only Australian stockist, we will be showcasing the wares of American brand ‘Revolution Design House’ with their popular Boxcar Series and Sandbox planters.